1. The first step to rehydrate your dry winter scalp is to make sure that you are using sulfate free hair products that will keep moisture locked in and also prevent haircolor from fading quickly. 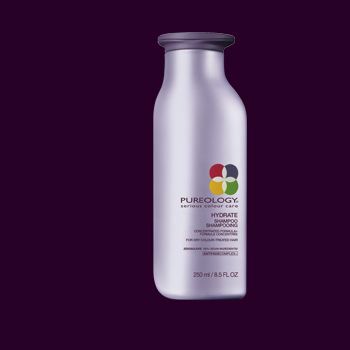 An example of one of the best sulfate free shampoos on the market is PureOlogy Hydrate. I recommend this to most of my clients. Another important factor is to inspect the ingredients on all of your hair products to find out what you are putting on your hair. Alcohol is a main ingredient in commercial hair products (brands that you can find at your local grocery store), so be careful to always look behind the bottle. Keep in mind that the hair is the most vulnerable when it’s wet, make sure to either air dry or blow dry (always using a heat protectant prior) before stepping outside into the elements. 2. Deep Conditon! Grab your favorite deep conditioner/masque and add some oils if you prefer and apply thoroughly throughout the hair. Allow a deep conditioner or masque to sit for fifteen to twenty minutes. 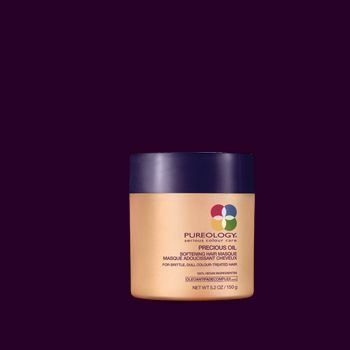 My favorite is PureOlogy Precious Oil Softening Masque. If possible cover hair with a steam towel or if you’re in the shower turn up the heat to allow steam to rehydrate the strands. I recommend doing a treatment once a week to keep those luscious locks from dehydration. 3. The indoor heat can be extremely stressful to your hair and skin. Using the right serum for your hair type can lock in moisture and shine. 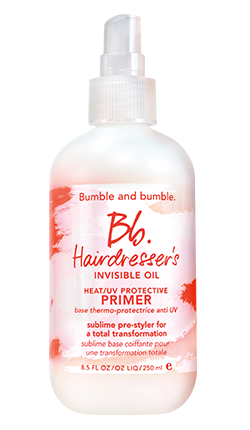 ALWAYS ALWAYS use a heat protectant/humidifier either dry or wet to protect the hair from the cold wind like Bumble and Bumble Hairdressers Invisible Oil heat/UV Protective Primer . 4. And last, but not least be kind to your hair! The winter months can be brutal, the less you do , the better. Hair takes time to repair itself so whatever you do now will stay with you throughout this year, so give those strands some extra TLC!